This structure is located on Hijrah Road, 20 km from Makkah and contains the grave of Maymoonah (may Allah be pleased with her), one of the wives of the Prophet (ﷺ). It is in a locality named Sarif and is the same place where they were married in 7 AH. Maymoonah (may Allah be pleased with her) was the daughter of Harith-bin-Hazan. Her original name was Barrah, but she was later renamed Maymoonah by the Prophet (ﷺ). She was first married to Aburehm-bin-Abduluzza. According to some reports, she was married twice before she became Ummulmominin (mother of the Believers). She had been recently widowed when the Prophet (ﷺ) married her at Sarif, a place lying on his journey to Makkah when he was on his way for ‘Umrah in Zil-Qa’dah, 7 A.H. The Prophet (ﷺ) had intended to start living with her when in Makkah after performing ‘Umrah but, as the Qureysh did not allow him to enter Makkah, he called her over to him in the same place on his return journey. 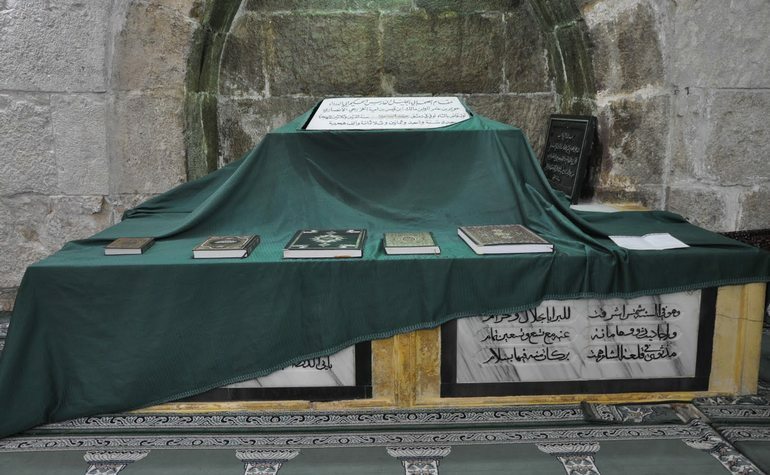 Many years later Maymoonah (may Allah be pleased with her) died and was buried exactly at the same place in 51 A.H. (at the age of 81). This is a strange coincidence that at a certain place during one journey she is married, at the same place on the return journey she starts living with the Prophet (ﷺ), and at the very place during another journey she dies and is buried there. She was the last woman to be married to the Prophet (ﷺ). Certain Muhaddithin have, however, mentioned one or two other marriages contracted by the Prophet (ﷺ) after her.